1999 - 2007 --These pages are part of the Schuyler co., NY genweb page. Not for commercial use. Photos are not to be used without permission from Linda Z. O'Halloran. Note: This website is not a part of any organization within Schuyler co., NY. exchange of genealogy & local history info on the internet. to Linda, the coordinator of the Schuyler co., NY GenWeb. Note: Birth & Death records are usually held at the Town or Village Clerk's office. directly (some addresses are below). For wills, guardianship and other court papers following a death. for a record over 25 years old (whether or not they find anything). Copies are 25 cents per page. It may be possible to order this microfilm at your local Mormon Family History Center. Notes: Microfilm of original records at the Schuyler County courthouse. Includes indexes. Some pages have light or faded writing which is very difficult to read. Search other Schuyler LDS microfilms - do a placename search for "Schuyler". See the Schuyler co., Gazetteer for a thorough description of locations. 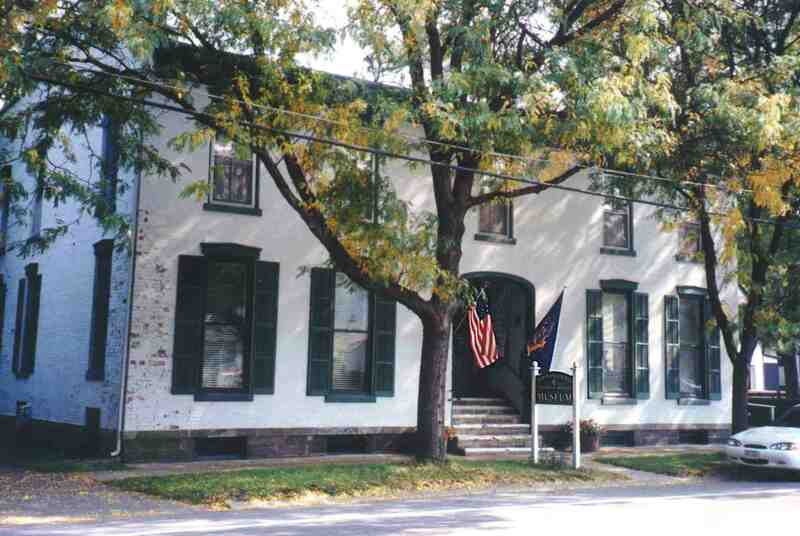 Historian: Mrs. Carol Fagnan, Town Hall, 106 Grant Rd., Odessa, NY 14869 or also 2351 Oak Hill Rd., Alpine, NY. 14805 607-594-2062. Also does research for Cayuta and has been head of the Montour Library Board. Town Office & Clerk: 106 Grant Rd., Odessa, NY 14869 (607)594-2273. Currently in the Town of Catharine, though in the 1800s was partially in the Town of Cayuta. and Catharine (south) , so try them. Historian: Marian M. Boyce, 2470 County Route 16, Watkins Glen, NY 14891-9551. (607)535-4730. Charges vary per request. Village Superintendent of Watkins Glen, 303 N. Franklin St. Watkins Glen,NY 14891. The Village Superintendent is in charge of the cemeteries. Part of Seneca co. and Tompkins co. prior to 1854. Historian: Mrs. Sandra Bradford, 5588 Mark Taber Road, Trumansburg, NY 14886. Town Clerk: Jane Ike, 5097 State Route 227, Burdett, NY 14818, (607)546-5286 & Fax (607)546-5200. Birth, Death & Marriage certificates, 1884-present--from a large book that contains all the handwritten information. It is on microfilm and she makes copies of the records; $11.00 per name/request. Town Supervisor & Clerk: Box 579, Havana Glen, Montour Falls, NY 14865 (607)535-9476. Historian: Joanne Randall, 899 Hornby Rd., Beaver Dams, NY 14812, tel 607-962-2978. Note: Two fires destroyed the Town's copies of vital records, though not sure of the exact dates of the missing records; the State Dept. of Health in Albany should have copies. Town Clerk & Tax Collector, Joanne Randall, 1841 County Rt. #22, Beaver Dams, NY 14812, tel. 607-962-8156. Town Supervisor & Clerk: PO Box 5, Reading Center, NY 14876 Clerk phone no. (607)535-7459. Town Supervisor & Clerk: 569 Rte. 23, Dundee, NY 14837. Clerk phone (607)292-3181.